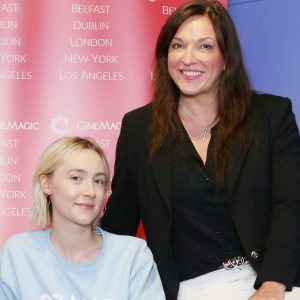 I’m really proud to be involved in this Festival …Cinemagic has given young people a chance to achieve true self-expression through cinema – a gift. They have brought different communities together through the arts. We’re giving them self-awareness, confidence, courage to be who they want to be. Cinemagic is to me, passion that you see coming from everyone involved in it. You want to encourage young people to do their thing and learn things, and whilst they’re doing it have a smile on their face. BAFTA has worked with Cinemagic for at least the past five years. BAFTA relies on our festival partners to reach audiences – particularly non-industry audiences and those around the UK. Cinemagic are undoubtedly one of our most reliable partners in terms of attracting a family or school groups. They know their audience well and have a great contacts list, so our events with them are always full and buzzy. The Cinemagic team deliver a vast range of programming with a small team, efficiently and imaginatively and we very much hope they will continue to be able to deliver their programme to this important but under-served community. If you want to write, direct, produce, be in movies, be part of this wonderful world of media, then you have a home at Cinemagic. 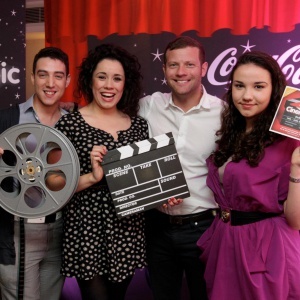 It’s an honour to be patron of Cinemagic Worldwide. It’s amazing to see how Cinemagic impacts on individuals and communities on so many levels; Educationally, socially and vocationally. We’ve engaged directly with half a million young people over the last 20 years. What started as a children’s film festival, has blossomed into an outlet for creativity and an inlet for the creative industries, touching young people from all backgrounds in a very unique and inspiring way, transforming countless lives along the way. To have taken the Cinemagic experience from Belfast, to Dublin, to the UK, to France and then across the Atlantic and to have had so much success there, tells you something about the Cinemagic brand and its enormous global appeal and potential. Our experience of Cinemagic has been amazing. From start to finish it has been a privilege to work with some of the most talented people in the business. Equally, it’s been a privilege to work with some of the most talented up and coming young directors, camera people, editors, make- up artists and film crew who, in turn, have all been given the most wonderful opportunities through Cinemagic. Cinemagic is one of the most enjoyable and educational workshops/programmes available to children. It engages and stimulates young people and children in discussions about films and social issues, through practical activities. A very worthwhile educational tool. For the last three years we have taken our three P7 classes to the Film Classification Workshop during the Cinemagic Festival. The pupils have gained great insight into the reasons why and how films are classified. I would thoroughly recommend the Cinemagic Festival to Primary Schools (as long as you don’t take up our places for next year!). It gets pupils to think more critically about the film industry and helps them to realise that this is a profession that is a very real possibility for the creative amongst us all. The Cinemagic experience was unbelievable; more amazing than I can actually put into words, and I have encouraged and told people I know to go for it and try to become a part of it, as it has been life changing and has given me the motivation to aim high and to hopefully one day be able to put myself in the professionals shoes and work alongside them. What an enlightening experience working alongside director Michael Lennox. His knowledge, creativity and enthusiasm have inspired my pupils which is evident in their work already. Fun, enjoyable and educational! Thanks Cinemagic!! 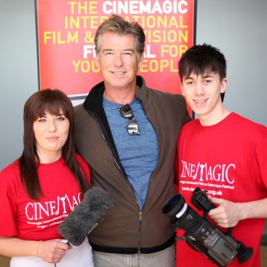 Cinemagic is an invaluable teaching and learning festival. Pupils receive an experience that is not possible in the classroom. 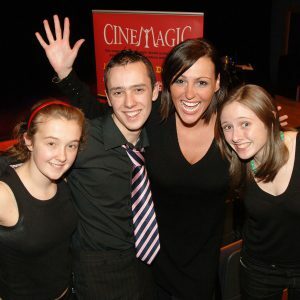 The Cinemagic team strive to provide fun, interactive events in which students get a cinema experience.